Because of the Canada Day holiday one of my regular city committee meetings has been bumped to Tuesday - the General Government Services (GGS) Committee. As I mentioned last time I posted an agenda from GGS, this committee meets every second week and generally deals with things like internal corporate services (IT, and Finance) as well as the administrative functions of the corporation. Below is the agenda for today's meeting. The names you see below the agenda items are the staff members who are presenting the report on that item. My quick comments are in italics. The city owns Aquatera (along with the County of GP and the Town of Sexsmith) and as part of that relationship we see them at meetings quite often. Presenting the annual report is kind of just an FYI thing as all council members receive it in our mail boxes. The Library is one of two organizations who's year end financial statements are combined with the City's. The other is the Airport. The library ended the year with a surplus of $292,776 - mostly due to a number of smaller factors that added up; unexpected grants and higher than expected fundraising on the revenue side and lower than expected or deferred expenses. Any surplus is transferred to a reserve and will cover some of the increased expenses that come as the library grows in to the new building. This will ensure that the city is effectively marketing itself in a coordinated manner. The most visible result of this for the public will likely be some kind of new logo for the city (Right now we are using the city Crest which really isn't a logo). I won't be surprised if there is some angry feedback on this expense ($36,000) but ultimately the city is a large corporation that needs to communicate effectively with the public and this will help. This is in response to a letter we sent outlining the negative impact that the province's decision to reduce MSI funding had on our city. 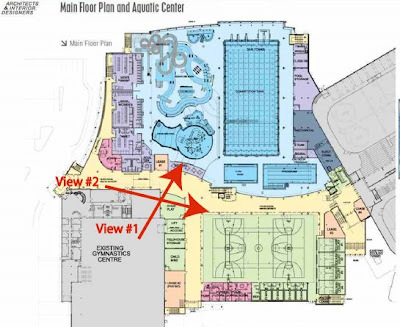 The province chopped about $2.4 million out of grant funding we were supposed to receive this year - money that was going to the construction of the multiplex. This new provincial bill (view as a pdf)came from an MLA's private member motion late this spring. It sets out rules for how municipal election campaigns are financed and reported. I don't think anyone has too much of a problem with having fair guidelines in place that ensure transparency (I don't) the issue is that this was sprung on municipalities without any consultation. Because of that there are a number of holes in the proposed legislation that could have negative impacts. Hopefully we'll be able to correct these things by working through AUMA before this becomes law. 8.1 Appointments to the City/County Joint Recreation Committee (attached) Request to appoint four Council members to the City/County Joint Recreation Committee. Bylaw C-1100-145, to amend the Land Use Bylaw, to include “Fleet Services” as a Discretionary Use in the “CC – Central Commercial” District. Council give Bylaw C-1100-145, to amend the Land Use Bylaw first reading. Council establish Monday, July 27, 2009 at 7:00 p.m. in Council Chambers as the date, time and location for Public Hearing purposes for Bylaw C-1100-145. Council give Bylaw C-1060-10, to amend the South East Area Structure Plan first reading. Council give Bylaw C-1100-112, to amend the Land Use Bylaw first reading. Council establish Monday, July 27, 2009 at 7:00 p.m. in Council Chambers as the date, time and location for Public Hearing purposes for Bylaw C-1060-10 and Bylaw C-1100-112. Council receive the minutes of the Municipal Government Day Team meeting held June 10, 2009. Council receive the minutes of the Council Committee of the Whole meeting held June 15, 2009. Council receive the minutes of the Public Works Committee meeting held June 16, 2009. Inc. in the amount of $208,966.74 (excluding GST), as the lowest tender meeting specifications. Council approve Tender T-14-547-09 for the purchase of a forestry aerial device and chip/dump mounted on a single axle truck be awarded to Calco Equipment Inc. in the amount of $159,879.00 (excluding GST), as the lowest tender meeting specifications. 2. Set Monday, July 27, 2009 as the date for consideration for second and third readings. Council adopt the City of Grande Prairie and the Town of Beaverlodge Joint Uniform Quality Management Plan. Services Committee meeting held June 17, 2009.
renovations of the Centre for Creative Arts building. Whole meeting held June 17, 2009. Committee meeting held June 17, 2009.
meeting held June 22, 2009. Whole meeting held June 22, 2009. Committee meeting held June 23, 2009.
of Grande Prairie and the Grande Prairie and District SPCA. Iskoteo Arts Festival - Busy Week In GP! Grande Prairie has an amazing week ahead of it! Seriously, tell me the list of events isn't impressive - I dare you! In all seriousness this is going to be a great week that features the diversity of our community and hopefully will open some people's eyes to the thriving arts and cultural scene in Grande Prairie. 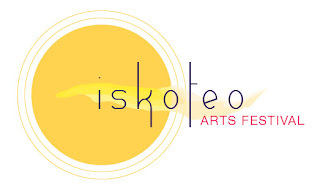 The Iskoteo Arts Festival is a combination of new and annual events coordinated to coincide with the Lieutenant Governor of Alberta Arts Awards. Most of the events are free and those that do have a fee attached are supporting good causes. If you're not from GP, there's still time for you to plan a visit! Have you driven by the Coca-Cola Centre and the CKC lately? If you have you'll have noticed the construction of the Aquatics Centre & Multiplex. If you haven't had a chance to go by, or if you want to keep really up to date on how things are going you can follow along through two new construction site webcams the city has set up. The images update every hour between 6am and 8pm. VIEW #2 looks directly east front the gymnastics centre, back towards the Coca-Cola Centre. In the upper right is St. Joe's school, the concrete structure below that is the start of the 2nd level seating area that will be above the fieldhouse gym. On the left you can see the elevator shafts starting to pop up. These will be in the common area that forms part of the "mall" on the first level. Back in 2007 I mentioned that a new funding program, the Major Community Facilities Program (MCFP), was launched by the provincial government at the Coca-Cola Centre in Grande Prairie. I was hopeful that the time that having the launch at the CKC would be a good omen for the city receiving some support from this program for the construction of the aquatics centre. The program was originally supposed to provide up to $280 million in grants to communities across the province. Since it's launch the department responsible has a new minister in charge (Lindsay Blackett, MLA for Calgary North-West has take over for Hector Goudreau, MLA for Dunvegan-Central Peace) and the program has given out 131 grants adding up to $203 million. Of course that's leaving out Edmonton & Calgary who have seen multiple grants. In some situations multiplex projects in the two major centres have been given grants of $10 million in one shot. So, I'm hopeful that this afternoon we'll have some good news from Minster Blackett. The City of Grande Prairie is advising residents to expect reduced water levels in the Bear Creek reservoir for the next five days. After assessment of the corridor is complete, the reservoir gates will be closed and water levels will return to normal. Any questions or concerns should be directed to the City’s Transportation Engineering Department at (780)538-0417." A couple of weeks ago I posted the agenda for the General Government Services committee. There was some positive feedback that a few readers found it to be useful information so I'll continue doing that. In the mean time I thought I'd see if people might appreciate seeing what's on the agenda for tonight's full council meeting. We have the full council meetings every two weeks on Monday at 7pm. They are of course open to the public and you can view them live on the web (or check the archive for our "greatest hits" ). Have a look at the agenda for tonight's meeting below. My coments are in bold italics and I've highlighted the action items in bold. It's a lot of text and I'm not sure that this is what people want to see from my blog so if you don't think it's useful please let me know. Council receive the minutes of the Public Works Committee meeting held May 19, 2009. 3. The hourly rate for Charter Service for the Transit Operator Provision contract be increased by 3% to $51.41, May 1, 2009 to April 30, 2010, and by 3% to $52.95, May 1, 2010 to April 30, 2011. Council waive the fees, totaling $3,480.30, for the development and construction of a multi-attached dwelling (three-plex) located at 9304 - 103 Avenue. These fees would be waived because the project is an affordable housing project that meets certain criteria. This is one way the city supports those developing affordable housing. Council award Tender T-09-552-08 for the 2009 Overlay Program to Reco Construction Ltd. in the amount of $1,339,000 (excluding GST) as the lowest tender meeting specifications, with funding from the 2009 Overlay Program, and further that an additional $300,000 be allocated from the 2008 Overlay Program to cover the project costs. Council approve opening the existing gated access from 104 Avenue to the Provincial Building east parking lot. Council approve the proposed addendum to RFP 01-324-09 for the Land Use Bylaw Review as awarded to Lovatt Planning Consultants Inc., and ISL Engineering and Land Services, in the amount of $42,498 (excluding GST), and further that funding be allocated from the Engineering Reserve. The mayor has been pushing to have a Municipal Planning Commission (MPC) developed and this amount is needed to get the consultants to give us some information on how the MPC could be set up & what it would do. I'm still not 100% convinced that we need an MPC but I'm willing to keep an open mind and wait for the results of this work. Council receive the minutes of the 2010 Olympic Torch Relay Event Committee meeting held May 19, 2009. Council receive the minutes of the General Government Services Committee meeting held May 20, 2009. These are the minutes from the agenda I posted a couple of weeks ago. You'll notice that the items we discussed then have moved forward to here everything has to go through this process before it's finally approved by council. Council receive for information the financial statements and schedules for the three month period ended March 31, 2009. Council cancel the June 8th, 2009 Environment Committee meeting and the June 9th, 2009 Protective Services Committee and Community Development Committee meetings. Council authorize the destruction of all records listed on the attached Schedule A and that all records destroyed be listed and incorporated in the minutes of Council along with signed affidavits as to witnessing of the destruction. 9.3.4 Grande Prairie Airport Commission Lease to 810807 Alberta Ltd.
Council approve a lease agreement between the Grande Prairie Airport Commission and 810807 Alberta Ltd. for a term ending May 31, 2035. Council approve the 2009-2011 Strategic Plan and Priorities Chart, as presented. Council approve that the Mayor write a letter to the appropriate authorities in regard to the Airport Traffic Services Review Discussion Paper and indicate support for retention of the existing transportation links in the Northern Alberta, with copies of the letter to the Northern Alberta Elected Leaders Group, NADC, MP and MLA’s. I'm council's rep on the NAEL and I just attended their last meeting on the 22nd of May when I drove up to Manning. I think it's important that the City supports the communities around us because ultimately what impacts Peace River, or Manning or Spirit River trickles down to impact us. If we can help them, we can help ourselves. Council direct Administration to pursue use of the Arctic Winter Games Logo on the City’s letterhead, printed material, the website and other appropriate products. I brought this up as an add on at the committee meeting. It's a simple thing but it needs to be done - I'm not sure why it hadn't before now. Council receive the minutes of the Combative Sports Commission meeting held May 21, 2009. Council receive the minutes of the Protective Services Committee meeting held May 26, 2009. Council receive the minutes of the Lt. Governor of Alberta 2009 Arts Awards Gala Event Committee meeting held May 26, 2009. Council receive the minutes of the Special City Council meeting held May 26, 2009. Council receive the minutes of the Community Development Committee meeting held May 26, 2009. Council support the United Way Days of Caring, refer the request for project assistance for construction completion of the Cool Aid Southside location to administration for action and approve the Mayor proclaim Days of Caring. 2. Subject to the satisfactory outcome of the Feasibility Study and the identification of funding sources for construction, proceed with the remaining architectural services in the amount of $609,850. 2. rescind a portion of its August 25, 2008 motion as follows: “re-allocate $50,000 to Playgrounds, $100,000 to the Fire Hall Roof Replacement Project, $34,000 to the Outdoor Pool Drain and $15,000 for the Library Facility renewal from the Creative Arts Retrofit Capital Project”. Council receive the minutes of the Municipal Government Day Team meeting held May 27, 2009. 10.1 C. Warkentin, MP, re: the City’s Gas Tax Fund Transfer. 10.2 C. Warkentin, MP, re: Recreational Infrastructure Canada Program (RInC). 10.3 C. Warkentin, MP, re: Grande Prairie Young Offender Centre.